Medellin-based textile manufacturer Fabricato announced March 21 its that full-year 2017 net loss grew to COP$6.4 billion (US$2.2 million), down from a COP$845 million (US$295,000) net loss in 2016. Earnings before interest, taxes, depreciation and amortization (EBITDA) fell to a negative COP$3.2 billion (US$1.1 million) , down from a positive COP$26.9 billion (US$9.4 million) in 2016. Sales also declined 12.5% year-on-year, to COP$337 billion (US$117 million), down from COP$385 billion (US$134 million) in 2016. Meanwhile, fellow Medellin-based textile giant Coltejer reported a net loss of COP$24 billion (US$8.4 million) in 2017, worse than the net loss of COP$7.7 billion (US$2.7 million) in 2016. Coltejer's sales likewise declined 30% year-on-year, to COP$169 billion (US$59 million), down from COP$241 billion (US$84 million) in 2016. Operating income also fell 23% year-on-year, to COP$212 billion (US$74 million), down from COP$277 billion (US$96 million) in 2016, according to Coltejer. “The net loss of the year is basically due to financial expenses, plus a drop in the domestic market which led to a reduction in production -- due to the importation of Asian products at a low price,” Coltejer added. On a similar note, Fabricato explained that "the general business environment in Colombia in 2017 was unfavorable, as reflected in the lower level of growth in the country in recent years. “The year  began with a significant reduction in consumer confidence, a variable that has not fully recovered and that influenced sales and production indices throughout 2017,” as textile production nationwide fell 7.6% and clothing manufacture declined 8.4% year-on-year, according to Fabricato. “1. The resolution accepting the antidumping proceeding against denim of Chinese origin. Figures accumulated from January to October 2017 reveal that 17.2 million tons of fabrics entered [Colombia] below the price of US$4.63 per-kilo at the end of the year. This represents 72% of total denim imports in this same period, with China being the main country of origin, followed by India. “2. Corrective measures: Decree 2218 defines more stringent customs controls for imports to combat textiles with ostensibly low prices (below US$2.50 per kilo). The average price of these imports in 2017 was US$1.36 per kilo. “For a reference, the average price of cotton (the main raw material of these products) on the world market in the same period was US$1.58 per kilo. “3. There were also intensified police operations that led to important achievements against smuggling, including the apprehension of large volumes of products illegally entered into the country, and the [shut-down] of several companies . . .
“Despite our consolidation of production in a single industrial unit [at Bello, Antioquia], Fabricato starts its operation in 2018 without affecting installed capacity in relation to 2017. As a natural consequence, better efficiency is expected, lower operating costs and lower administrative costs, that is, a higher level of competitiveness. “The Rionegro [Antioquia factory] property will be destined for the development of an industrial park, which will represent additional income for the company. “Fabricato will reorient its production program internally without considering the use of 100% of its installed capacity as a primary objective, controlling in a more strict way the level of inventories and stimulating the anticipated programming by the customers; this will represent a better flow of business and consequently a lower stress on cash flow. “In November 2017, the national government accepted the anti-dumping proceeding against denim fabrics of Chinese origin. This measure will allow local producers to access this portion of the market. “In December 2017, the national government issued a decree in which the price thresholds for the importation of textile products were defined, with the aim of providing a solution to the problem of under-invoiced imports. This measure covers approximately 30% of textile imports of 2017 from all sources and specifications, and will also allow local producers to access this portion of the market. “As of the second half of last year, the intensification of operations against smuggling was perceived. In one of them, the largest in recent history in the country, record volumes of smuggled products were apprehended, leading to the extinction of several companies. “In addition to these measures, and their expected positive consequences, the expectation of a business environment will also be positive for the year 2018. Some indicators that lead us to this optimistic view are the higher price of oil, the reduction in the basic interest rate, controlled inflation, the improvement of consumer perception and the good turnover that was perceived at the end of 2017. “Due to the foregoing, we believe that the year 2017 does not reflect a structural change in the business environment; We understand that many factors of negative impact coincided in this year and that they were delayed by the competent authorities. “We certify a gradual recovery of our businesses starting in 2018, as the stocks of imported products under unfair practices are depleted,” the company concluded. Medellin-based pension-fund administrator Protección announced March 16 that its full-year 2017 net income rose 34% year-on-year, to COP$343 billion (US$120 million). Protección is one of the largest of the private pension funds in Colombia, and also owns the “AFP Crecer” pension fund in El Salvador. Earnings before interest, taxes, depreciation and amortization (EBITDA) rose 17% year-on-year, to COP$489 billion (US$171 million), with an EBITDA margin of 42%, up 6.48% year-on-year. While Colombian gross domestic product (GDP) grew by a weak 1.8% last year, key financial markets outperformed, as the S&P 500 stock index soared 22% and Colombia’s “Colcap” stock index gained 12% last year, the company noted. Protección administers three funds – “obligatory” pensions (contributions from workers and employers); “voluntary” pensions (contributions entirely from individuals) and worker-compensation funds (“cesantias”), collectively covering 6.7 million Colombians. Proteccion’s assets-under-management (AUM) for these three funds now tops COP$91 trillion (US$32 billion). The “obligatory” sector accounts for the bulk of AUM, at COP$82 trillion (US$28 billion). This fund covers 4.4 million workers and 32,000 current pensioners. Proteccion has a 36% share of the Colombian “obligatory” pension market (measured by AUM) and 29.6% by number of affiliated workers. The “voluntary” sector assets under Protección management hit COP$7.2 trillion (US$2.5 billion) in 2017, or 42.3% of the entire Colombian “voluntary” pension sector (as measured AOM) and 53.9% by number of persons affiliated, the company added. Meanwhile, Protección now foresees a relatively positive outlook for 2018, based on assumptions including three more interest-rate hikes by the U.S. Federal Reserve and better GDP growth in Colombia this year. “We agree with [Colombian government] and International Monetary Fund forecasts indicating [Colombian] GDP growth between 2.8% and 3%” this year, according to Protección. “As for the [Colombian national] pension system, we are sure the next government will make adjustments [following this spring’s elections],” the company added. “We have to face the reality of longer life-spans. The portion of adults in the general population will more-than triple by 2050 in Latin America -- from 16.5 million today to 55.8 million -- in contrast to general population growth of only 20%. “These factors will force us to act in advance -- to develop complementary models for pensions as well as [to improve] public education about savings,” the company added. Medellin-based gold miner Mineros SA announced March 16 that its full-year 2017 net profits in Colombia rose 16% year-on-year, to COP$114.7 billion (US$40 million). Earnings before interest, taxes, depreciation and amortization (EBITDA) in Colombia hit COP$187.9 billion (US$65.8 million), or 48% of sales. Corporate-wide, consolidated net income rose 32% year-on-year, to COP$117 billion (US$41 million), while consolidated EBITDA rose 17%, to COP$283 billion (US$99 million). Total gold output rose 8.7% year-on-year, to 208,054 ounces, while average sale price rose 4.1%, to US$1,250/ounce. Commenting on the results, Mineros noted that world gold prices at year-end 2017 hit US$1,302 per ounce, up 13% year-on-year; average 2017 gold prices were US$1,257. Relatively strong gold prices came in reaction to falling values of the U.S. dollar along with international political troubles, including threats of war between the USA and North Korea, the company noted. Meanwhile, world gold production last year reached a new record of 3,268.7 tons, “marginally higher than that observed in 2016 (3,263 tons),” Mineros noted. “From the point of view of demand, the global manufacture of jewelry increased by 4% to 2,135.5 tons,” according to Mineros. “This is the first annual increase in this item since 2013, when the demand for gold for investment fell 23%, passing from 1,595.5 tons in 2016 to 1,231.9 tons in 2017. “Central banks continued to increase their gold reserves for the eighth consecutive year, but at a slower pace than the one observed the previous year, buying 371.4 tons compared to the 389.8 tons purchased in 2016. “The demand for gold for the technology industry and for dentistry increased 3% compared to that observed in 2016, going from 323.4 to 332.8 tons. These changes generated a net reduction in demand close to 7%, going from 4,378.20 tons in 2016 to 4,071.7 tons in 2017,” Mineros noted. In Colombia, Mineros SA’s mainly alluvial gold production remained flat year-on-year, at 89,709 ounces. Underground gold production in Colombia fell 14% year-on-year, to 13,664 ounces. In Nicaragua, production at its Hemco subsidiary rose 22% year-on-year, to 104,681 ounces of gold equivalent, according to the company. Mineros added that in 2018, the company will concentrate greenfield exploration mainly in Nicaragua. Meanwhile, Mineros continues to support environmentally and socially responsible mining in Colombia – in part by eliminating toxic mercury from is mainly alluvial operations, in contrast to criminal and reckless mining practiced by others. 2. Apicultural production project: This program – supported in part by the U.S. Agency for International Development’s “Legal Gold” program -- continues to grow, with 100 families associated to the ASAPIBAS (Association of Beekeepers of the Lower Cauca and Southern Bolivar) cooperative in 20 villages near El Bagre, Nechí, Zaragoza, Anorí and Caucasia, Antioquia. These cooperatives produced 13 tons of honey last year, netting close to COP$271 million (US$95,000) in supplemental income. These families also recently founded three laboratories for the production of bee-biological nuclei, “in order to continue growing and populating their apicultural units. Also, 120 new hectares were reforested in order to increase the floral supply available, while also serving as an environmental contribution for the region, rehabilitating areas [wrecked] by informal mining,” the company added. 3. Business and human rights project with the United Nations: “We continue supporting the Office of the United Nations High Commissioner for Human Rights in actions for the construction of peace and citizen coexistence” in mining areas, Mineros noted. 4. Mining legalization: In 2017, Mineros provided technical-assistance loans to the informal miner group EMIJOM (Empresa de Mineros de Jobo Medio-Emijom) "for the improvement of ore beneficiation processes, in order to increase gold recovery and avoid the use of mercury." 5. Wetlands program: During 2017, Mineros helped clean 14 hectares of water and water-supply access pipes in natural marshes, working jointly with the communities of Sabalito Sinaí, Guamo-Guachí, El Pital, San Pedro and La Esperanza. “In the same way, the community of Puerto Gaitán worked on cleaning the waters of the La Esperanza swamp,” with Mineros payments for this project generating extra income for local workers while also boosting environmental protection, the company added. 6. Conservation of river turtles: “In 2017, communities from the municipalities of Nechí, Zaragoza, Caucasia and El Bagre participated in nine conservation-center operations, achieving the release of 1,300 individuals of this species,” according to Mineros. 7. Fish farming and repopulation program: “Fulfilling the environmental management plan, during 2017 the repopulation of the Bocachico species was continued -- considered of great importance in the diet of the riverside populations and also because Bocachico is classified as an endangered species. With the participation of the fishing communities of Nechí and the National Authority of Aquaculture and Fisheries (AUNAP), we introduced 500,000 Bocachico fingerlings in strategic wetlands including La Taburetera, El Sapo, Corrales and La Esperanza,” according to Mineros. 8. Reforestation program: “In 2017, we planted about 120,000 trees of different native species on 60.5 hectares of land left behind after the alluvial operation (involving hydraulic landfills),” the company noted. 9. Agroforestry plots: This program added 48 more plots in 2017, “all built in the recovery zones left by the [alluvial] production units. In agroforestry systems, there are about 750 hectares [of reforested plots], where honey is produced, along with yam, yucca, banana, corn, rice, fruit and vegetables in home gardens. These activities are complemented with artisanal fishing, poultry, pigs, rams and cattle,” according to Mineros. 10. Rubber plantations: As of 2017, “the population of rubber trees planted amounted to 450,000 trees in about 1,000 hectares. Of these, the first 28,000 trees entered latex production,” the company added. Medellin-based recycled plastics textile manufacturing specialist Enka Colombia announced March 15 that its full-year 2017 net profit fell to COP$1.7 billion (US$595,000), down from COP$10.6 billion (US$3.7 million) in 2016. Colombia’s weak economy in 2017 combined with a 25% drop in domestic demand for textiles hurt Enka sales and profits -- but growing exports helped to compensate for domestic declines, according to the company. Operating revenues rose 10% year-on-year, to COP$357 billion (US$125 million), once excluding the negative impact of sales terminations in economically wrecked “socialist” Venezuela. Exports (excluding Venezuela) now account for 48% of Enka sales, up from 41% in 2016, according to the company. Sales to Brazil rose 29% year-on-year, while sales of filament for the fisheries industries in Perú, Chile and Spain also rose, according to the company. México and the USA also boosted purchases of certain Enka fibers for production of tires and specialty clothing, the company added. Following US$100 million invested in high technology, Enka is now the leading recycler of PET (polyethylene terephthalate) plastic from plastic bottles -- turning this waste material into novel textiles for clothing as well as specialty filament for tire manufacture. “Our company is totally immersed in the global economy, taking raw materials from Asia, Europe and the Americas and then transforming and distributing products to clients in 19 countries,” according to Enka. Today, 51% of its products are made from recycled plastics. But this is about to grow thanks to further investments in machinery that will convert not just plastic bottles but also plastic caps and labels into textile material, according to Enka. This new process will start-up in second-half 2018, producing a recycled resin of “excellent quality and contributing to the sustainability of the plastic sector in Colombia,” according to the company. Enka now has two PET recycling plants with capacity to process 34,000 tonnes per year; its national recovery system also is capable of collecting and reprocessing more than 1 billion PET bottles every year, according to the company. 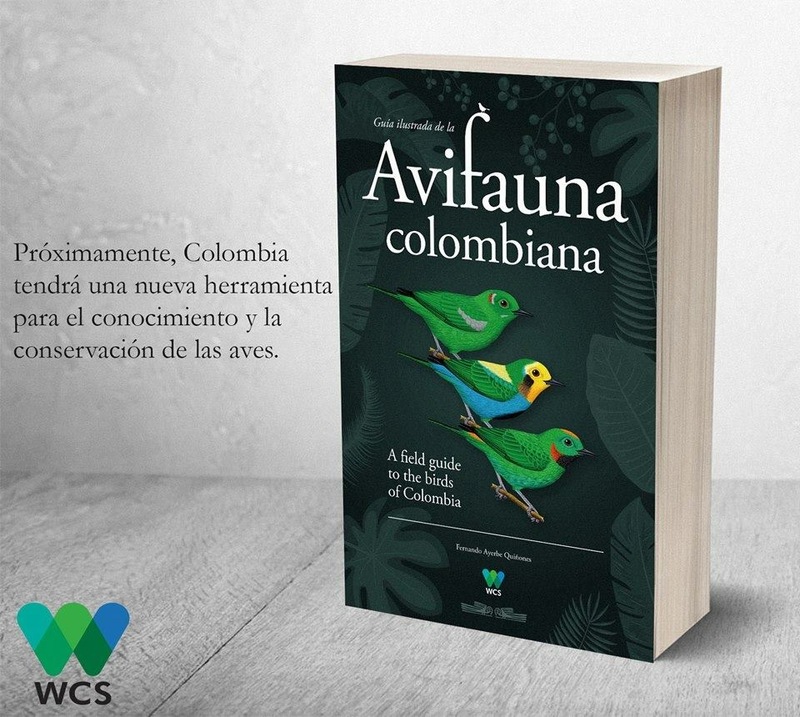 Growing environmental consciousness around the world is helping to boost this business, further spurred by Organization for Economic Cooperation and Development (OECD) initiatives that have been embraced by the Colombian government. Thanks to advanced technology investments, product innovations and productivity gains, “we have developed a wide portfolio of differentiated products that meet the needs of the most profitable market niches, thus reducing our exposure to Asian commodity producers,” according to Enka. Novel textile materials generated COP$246 billion (US$86 million) in sales last year, up 4% year-on-year, accounting for 69% of total sales. Meanwhile, Enka’s virgin PET sales would have been even greater in 2017 except for the situation in Venezuela, the company added. Industrial thread 2017 sales grew 8% by volume and 18% by revenues year-on-year, with 85% of those sales going to export markets. While filament sales were hurt by the plunge in Colombian textile production, filament sales to Brazil and Argentina helped compensate. As a result, filament sales showed net drop of 2% year-on-year, while Colombia sales dropped from 22% of sales in 2016 to just 15% of sales in 2017. Thanks to investments in “EkoPET” technology, industrial thread modernization and self-generation of electric power, Enka added that it has boosted earnings before interest, taxes, depreciation and amortization (EBITDA) by 80% over the past eight years. For 2017, EBITA came-in at COP$23 billion (US$8 million), up 4.7% year-on-year when excluding Venezuela..
Gains in cash-flow also cut financial debt, so that by year-end 2017, Enka’s debt ratio fell to 1.6-times EBITDA, according to the company. Private real estate development fund Pactia – administered by Medellin-based Fiduciaria Bancolombia – on March 14 announced that full-year 2017 net income jumped 41.8% year-on-year, hitting COP$132 billion (US$46 million). Gross income also rose 25% year-on-year, to COP$224 billion (US$78.7 million), while earnings before interest, taxes, depreciation and amortization (EBITDA) hit COP$107 billion (US$37.6 million), according to the company. Year-on-year results aren’t fully comparable as 2017 was the first full year in operation of Pactia’s “Fondo de Capital Privado” (private capital fund), the company noted. Pactia has real-estate investments in Colombia, Panama and the U.S.
During 2017, Pactia expanded its U.S. market holdings, taking a 45% stake in a portfolio of 14 commercial properties in Virginia, in which it invested COP$115 billion (US$40 million). Pactia also bought a commercial lot in Miami for a future mixed-use building project, according to the company. As for 2018 plans, Pactia aims to invest an estimated COP$400 billion (US$140 million) this year in new projects, according to the company. “We closed the year  with very good results and we have the satisfaction of achieving our strategic goal of internationalization and diversification of our real-estate portfolio,” added Pactia president Nicolas Jaramillo. Among Pactia’s recent flagship projects: the “Gran Plaza” commercial center in Bogota and another “Gran Plaza” in Bosa, Colombia. The company added that it has obtained licenses to develop a new distribution center for Colgate Palmolive in Valle del Cauca (near Cali), as well as a new Hilton Hotel adjacent to the Corferias convention center in Bogota. Estimated value of the current backlog of pending projects now totals COP$1 trillion (US$351 million), which when completed would yield another 281,000 square meters of leased space, according to the company.